Ignition Design Labs funded a new router called “Portal” via Kickstarter. A team of people experienced with designing routers, they aimed to build a router that maximizes the speed of wi-fi through two ways. First, FastLanes uses Dynamic Frequency Selection which would let you use 5 Ghz channels that are not typically available, while SmartLanes would help to reguarly select the least congested channel for your devices to be connected on. The promise is More Speed & More Range. The question is…. does it really work in Singapore’s HDB nest of wifi signals. Talk about laptop bags and I’ll think of “bulky”, “cumbersome” and generally not a bag that I want to wear. But when my wife said she prefers to use the one from Targus’ new Grid™ series of laptop bags, then you know Targus has something good going. Having passed the US military standard MIL-STD-810G, the Grid™ series is city-centric and designed to resist harsh environments. The series offers the ultimate protection against shocks, abrasion, vibration, moisture and dust. The elaborate protective system also protects laptops from damage, even after repeated drops from a height of up to 4 feet. My laptop now gets brought around in a Deuter backpack. It’s light, and it’s comfortable. It just doesn’t protect my laptop very well. BUT! the last thing I want would be a bag that’s heavier than the laptop itself. That was my fear when Targus first mentioned that the bag was sure to protect my bag from ANYTHING. But hey! My experience proved otherwise. 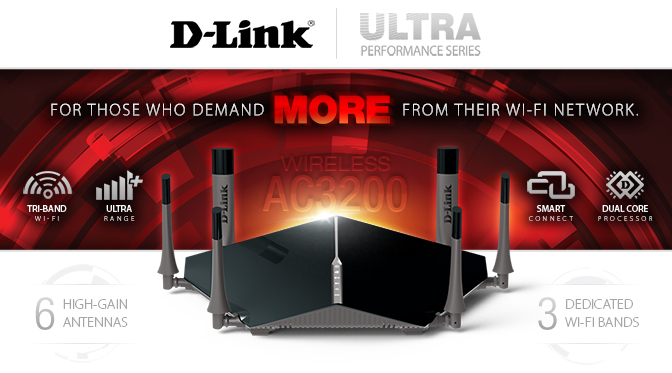 Going beyond AC2400, we now have AC3200 routers on the market, and the D-Link DIR-890 router is one of them. We previously did a short introduction of the router when it first launched. Today, we’ll be doing a short review on an actual unit of the D-Link DIR-890, together with a comparison to the ASUS AC87U. The AC87U is not a AC3200 router, but it’s the next best router we have on our hands for a comparison. If you’ve been observing the Singapore’s fibre broadband market, the major players have been moving towards bundling top-end routers (for a price) with their 1 Gbs offerings. M1, Viewquest, Myrepublic all offer a variety of ASUS routers, Starhub offers Dlink routers, while Singtel offers a myriad of brands. No more crappy 2wire or Aztec routers from Singtel anymore. The consumers have spoken, and the providers have listened. The question is, is there a need to pay upwards of $250 (with the broadband plans) to get a high end RT-AC87U, or is the AC56U sufficient. GadgetReactor takes a look at the performance of the RT-AC87U in a typical 4 room HDB flat for a typical user. FOBO Tire is an advanced Tire Pressure Monitoring System (TPMS) using the latest Bluetooth 4.0 that works directly with your Android and iOS device. It also comes with an intelligent In-Car monitoring unit that works on its own or simultaneously with your smart phone. They have recently completed a successful round of funding via Indiegogo, raising 190k out of a target of 25k. The product is now on sale on their website for 175 USD. I received my FOBO Tire promptly as promised, as one of the Indiegogo funders, and promptly put the device through its paces. Opera Max is a data-savings app that shrinks videos and photos on almost any app on your phone. Extend your data plan up to 50% for free. In my experience, it’s more like saving 10%. But it varies drastically depending on your surfing habits. For me, the app that it saves the most data in is 9gag (graphic intensive and saving around 30%), and normal browsing (18%) But hey, most Singaporeans are on a very small data plan quota, so every bit helps i guess. Opera Max works by using a VPN connection to their server, where they will try to compress the data before sending it to your phone, without affecting quality too much. Thus it works best on photos and videos. It also means you can’t use a VPN connection while using Opera Max at the same time. Connection speed wasn’t affected significantly, thank fully. But I found it irritating to have Opera Max constantly with a notification on your status bar. Didn’t see any other negatives in using the app otherwise. For those worried about security, only non-encrypted data is rerouted. Content over a HTTPS connection would still be direct to the original server. Opera Max is available as a free download on Google Play for smartphones running Android 4.0 or above. If it is primarily browsing data that you want to compress and you use Chrome, you can enable a similar feature as well. There’s no need for Opera. Head over to settings and turn on “Reduce Data Usage”. RestOn: Will this sleep monitor be different from the rest? Sleepace launched a crowdfunding campaign for a new sleep monitor that promises to accurately measures sleep time, heart rate, respiratory rate, body movement and sleep cycles. It’s meant to be placed on your bed, and measure your sleep without you knowing that it was even there. We all know that good sleep is important, and attempts at sleep monitoring has existed either through wearables like the fitbit or through apps on the phone. Wearables often feel intrusive, while apps drain your phone battery. All these without knowing how accurate such measurements are. RestOn promises to be something different. You can read more at their campaign site.